Reliable and skilled construction workers are a hot commodity in a developing city like Vancouver. Whether you’re a contractor, project manager, site supervisor, or human resources manager, putting together a team of reliable construction workers can be a big task. 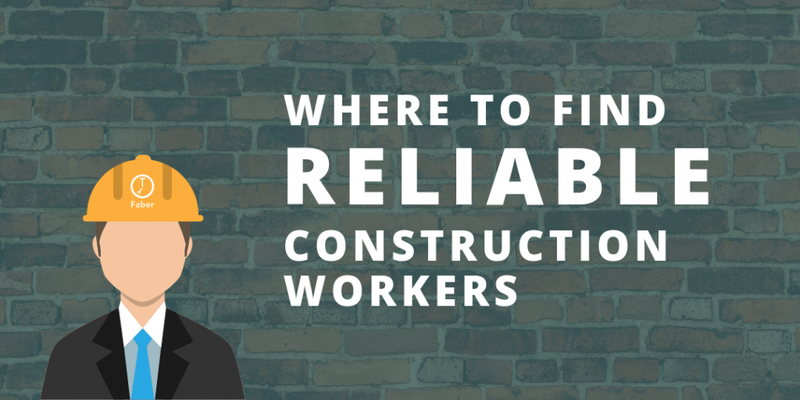 Finding construction workers is easy – it becomes difficult when we add the keyword reliable. What happened to all the reliable construction workers in Vancouver? Below are a few approaches (most you may already be familiar with) to use in your search for construction workers. Reliable construction workers used to be found on Job boards like Indeed, Craigslist, and Kijiji. At one point in time, these job boards were a goldmine for reliable labour workers. Workers used to hop onto these platforms in search of a construction gig that they could stick with for the long haul. If you’re looking for reliable construction workers on job boards today, you’re probably rolling the dice. What happened to job boards in the construction industry? It became the hangout place for ALL construction workers looking for jobs. You may find a few gems on job boards, but you are guaranteed to sift through the rough before you get to the diamonds. With that being said, some job boards are still a legitimate source for finding skilled tradespeople. These skilled tradespeople are the construction workers that have a resume and cover letter in hand. When it comes to using job boards, descriptive postings are the key to finding quality skilled labourers. Outlining the project details, tools needed, certifications required, and other important information helps skilled workers make the decision to apply for a project easier. A quality job posting maximizes the chances of finding a more reliable worker. If your posting looks like the one above, then your applicants are unlikely to be the experienced and reliable type. What about the reliable construction workers that are currently working on your site? They must have friends or family that are looking to make a switch. Leverage the current workforce you have and speak with your star workers. A simple question like that can empower the worker, but also generate an opportunity for referral based hiring. Imagine the effect on how your reliable worker feels when you ask them for a recommendation. Not only are you delegating a task, but you are also increasing the chances of finding another reliable worker just like them. Simplify your search for skilled labour by asking the best workers if they know anyone. You’ll still have to go through the interview and verification process, but you’re more likely to have an easier time interviewing referred candidates. Sometimes sub-contractors and project managers have great workers on deck, but they might be waiting for permits or for other projects to complete. While these sub-contractors and project managers are waiting, they might be able to lend you a few construction workers. With British Columbia’s shortage of skilled labour, this could be a tricky way to find reliable workers. The chances of borrowing a worker from someone else can be fairly slim. It may be easier if they depend on your project being completed before they can start theirs. You may be able to recruit a few workers who want to learn a new trade or skillset. With this idea in mind, it doesn’t hurt to ask where they found their reliable workers too. They might have a unique way of using job boards or have an untapped resource – you won’t know until you ask. Job fairs are a great place to find new grads and prospective skilled tradespeople. Career fairs are packed with curious and explorative people who are looking for new opportunities. These fairs can be held at trade schools, universities, colleges, or public spaces in Vancouver. Setting up a booth isn’t necessary. Attending on foot and mingling works too. Not only do job fairs give you an opportunity to find reliable workers, but they can also give you qualitative data on what prospects are looking for. Hang around enough booths and listen to enough conversations and you’ll probably hear some ideas and topics that you can capitalize on when recruiting talent. Although these workers won’t be as qualified as a seasoned veteran, they’ll definitely be reliable. Each one of these methods isn’t bulletproof, and it will require some effort to find a reliable construction worker. When all else fails, try something different. Find reliable construction workers with Faber Connect. Faber Workers are a different kind of construction worker. 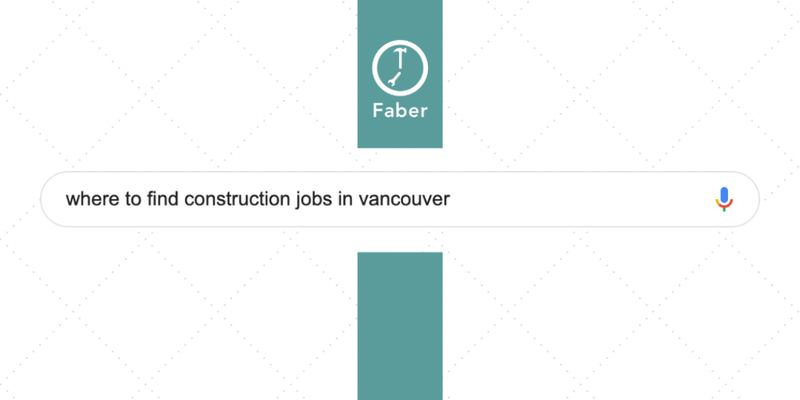 If you’re having trouble finding reliable construction workers in Vancouver, then you could alleviate some of that pressure using the Faber Connect platform. 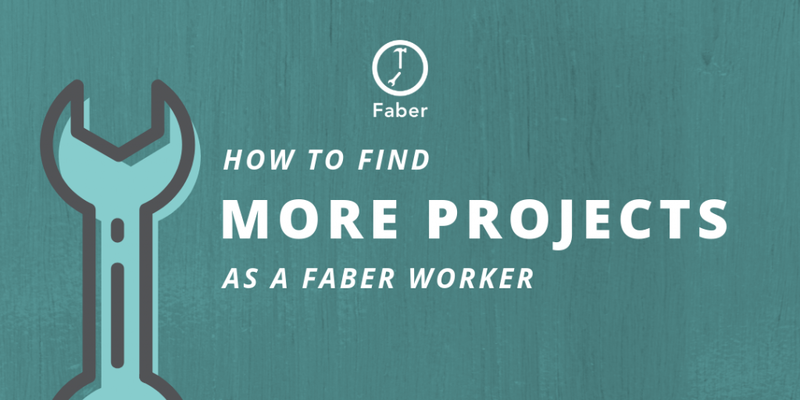 At Faber, we’ve built a marketplace of verified and highly rated Faber Workers who are ready to be deployed onto your projects right away. 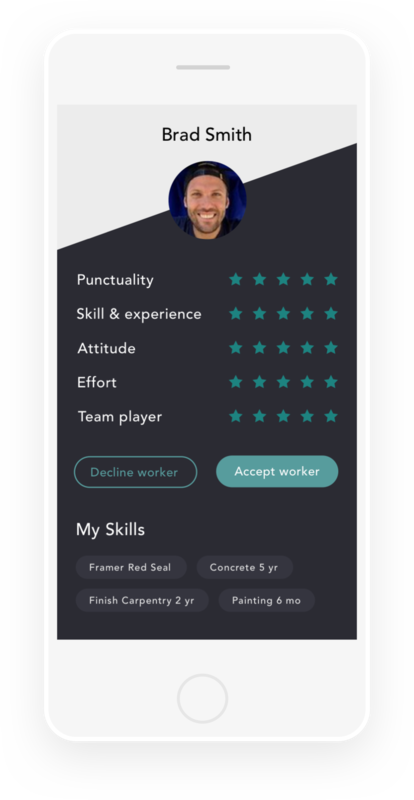 You can post a project and find reliable construction workers on demand. Since every Faber Worker has to submit references and get verified by our in-house team, finding reliable construction workers can be a thing of the past. Temporary labour agencies would be the traditional route if hiring workers on the fly, however, some of these temp labour agencies in Vancouver can act as a revolving door. Sign up for free and connect with a reliable and motivated Faber Worker in Vancouver.